You’ll soon be able to drop your phone without worrying from selfie level with a little help from Corning. The glass company presented the fifth version of its super-resistant Gorilla Glass at an event at its offices in Palo Alto, California. Corning has been spending time making a more resistant version of Gorilla Glass nearly every two years since its inception in 2007, and this year’s version is taking the glass to new heights — literally. “We wanted to go higher than the meter drop,” said John Bayne, Vice President and General Manager at Corning. The previous version of the glass could survive a drop at about pocket level or below on a rough surface, but with 63 percent of drops occurring between waist and shoulder height, according to Corning, the goal was to increase the height of the fall. was reported to only remain intact from about a meter high. strong , they were not as durable as the upcoming glass . 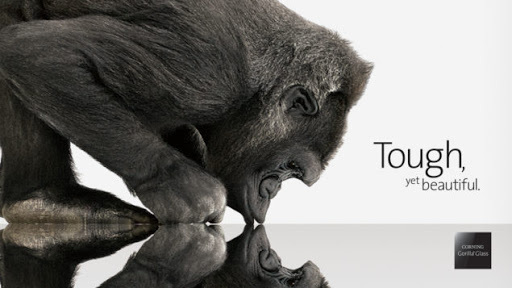 Gorilla Glass 5 can withstand drops of up to 1.6 meters (5 feet, 2 inches) based on Corning’s tests, making it almost four times more resistant than regular glass. About 4.5 billion of the world’s phones use Gorilla Glass on their displays and has expanding beyond the tech industry in last few years. This year Ford announced that the 2016 GT model will have Gorilla Glass Windshields and even some ATMs will soon have an antimicrobial version of Gorilla Glass on their displays. The company did not specify what devices will be sporting Gorilla Glass 5, but they did say we can expect to find it baked in to some of the new devices hitting the market this fall.